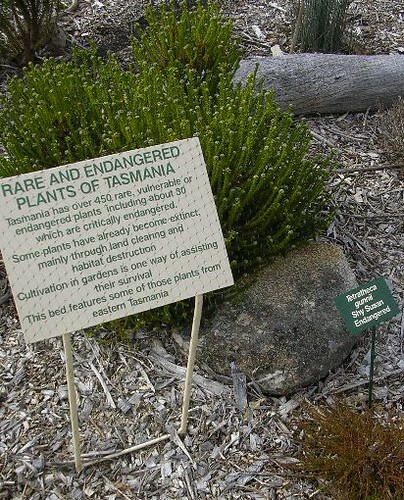 Tasmanian Bush Garden is next to the Tasman Highway, near Buckland in southern Tasmania. 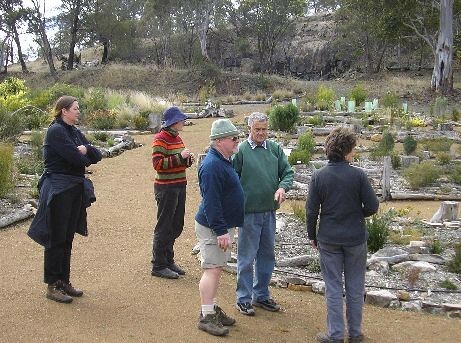 Les Payne (in green) showed us over the Bush Garden. 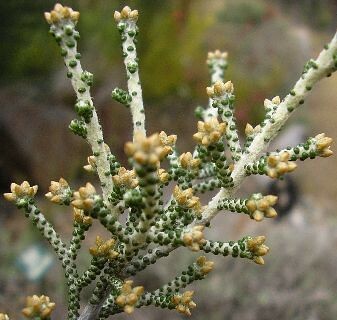 The scale leaf bush Ozothamnus scutellifolius is very distinctive. The garden is well signed and explained. This bed is protected by fine netting. 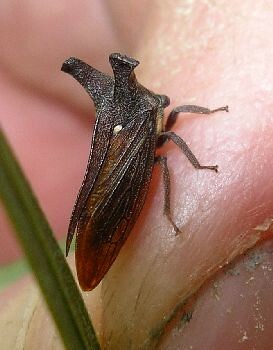 We noticed this leaf-hopper on an acacia. It is about 10mm long. 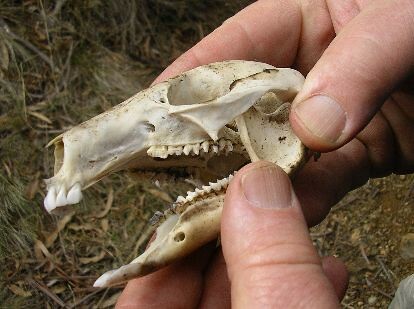 From the bush nearby, the skull of a Pademelon Thylogale billardierii, still with excellent teeth. 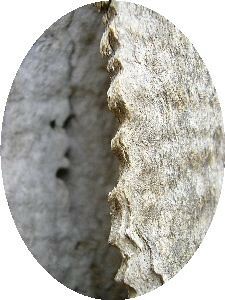 Ripples in the bark of a Eucalypt.